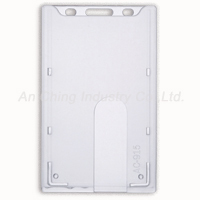 badge holder (AC915) - An Ching Industry Co., Ltd.
Badge holder is widely used in today's society. From companies, schools, to exhibitions, bagde holder is the best protection for your name cards and IDs. A good badge holder allows you to swipe your ID through card readers or to display your identification clearly. In addition, badge holders also provide strong rigid protection for card, plastic tabs inside holder keep card from falling out. As a dependable and reliable supplier of ID badge holder and name badge holder supplier, An Ching Industry Co., Ltd. manufactures quality badge holder, vinyl badge holder, badge clip, retractable badge reel to the global B2B platform. With ample experiences and expertise in badge holders, we are capable of handling custom and OEM / ODM badge holder orders worldwide. An Ching offers competitive price, excellent quality, and fast delivery to all our clients. Please visit our showroom and send your inquiry for detailed badge holder information. 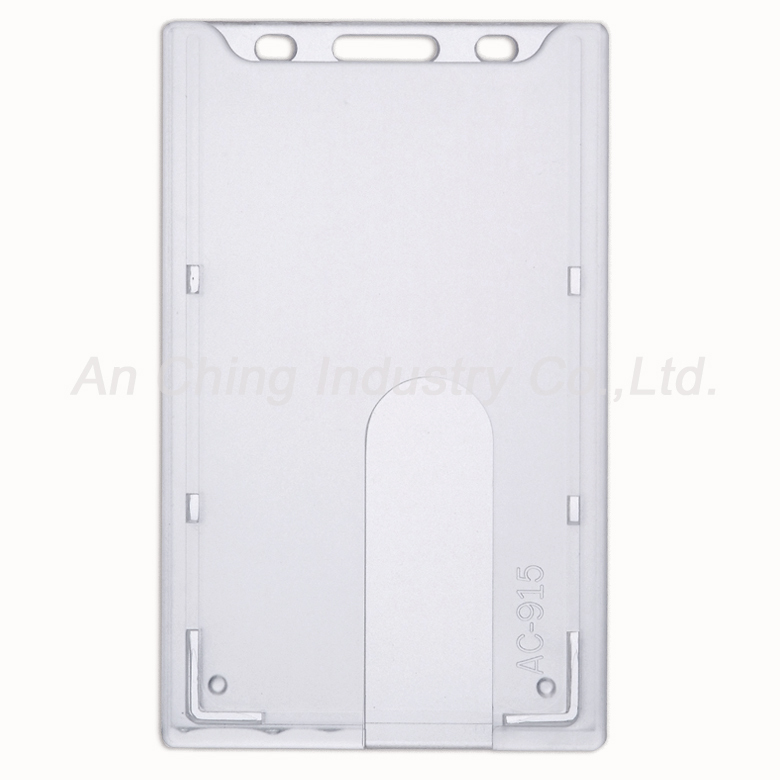 .To protect smart card, ID card against bending or damaging. .With a thumb notch on the back side of the holder for easy card removal. No. 52, Ping Ho 5th St., Lung Ping Li Chang Hwa City, 50090 Taiwan, R.O.C.